I am very interested in unschooling, but am worried about how it works out at the end of what would be considered necessary schooling – specifically high school graduation. I would like to hear about unschoolers who have “graduated” and successfully gotten their drivers license and even went on to college. Thank you for your help! Darcel: A huge part of unschooling is trusting that our children will learn all they need to know when they need to know it and are ready to learn it. That goes for college and getting a drivers license. I think if a child has been unschooled for several years, they will make the right choice for them about if/when they want to go to college. They will obtain a drivers license when they are ready. They will probably do better in college than most of the kids who are forced to be there, because they chose to be there. They want to be there! “I’m Unschooled. Yes I Can Write” is the blog of an always-unschooled teenager. Her writing is captivating. Blog of the Zombie Princess is written by a mother with unschooled teens. 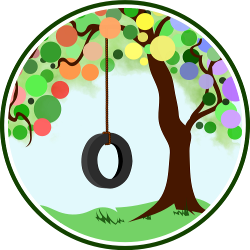 Enjoy Life Unschooling has a HUGE list of unschooling blogs to check out by both young people and parents. Check them out! Charlie: Welcome to the journey! Unschooling is definitely a path that can lead to college if the learner so chooses. The good news is that I have not heard of an unschooling student being unable to attend college because they did not have a high school diploma. In the experiences of my friends and their children, the learner takes the ACT or SAT and applies with that score. Another common path is to enroll in community college at 16 as a high school student and transfer those credits to a 4 year program. Learners who do not go on to college or trade school often take the GED. 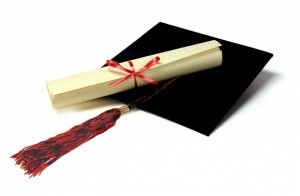 The question about a diploma often leads to a questions about transcripts. How does an unschooler prove to the admissions department that they did anything? You will hear a variety of answers about whether or not you need to keep a transcript. A lot of students have applied and attended college without one. In College Without High School by Blake Boles, he discusses how colleges do not need transcripts and how a learner can use his/her self directed path to prove college readiness to the admissions department. However, some scholarships require a grade point average and require the transcript as proof of the GPA. A friend of mine recently ran into this with her 17 year old. Her daughter was offered a full ride scholarship to her first choice school but the scholarship required a transcript with a GPA. As unschoolers, my friend had taken activities her daughter pursued and put them into mainstream categories. It really isn’t that hard since one interest often leads the learner down a wider path of knowledge. When an interest in Manga leads to an interest in Japan and Japanese culture which leads to an interest in Asia, it can go on the transcript as “study of the Pacific Rim” as a social studies credit. There are so many paths through life and some limit our choices in the future. Unschooling is not one of them. The ability to pursue your own interests and live your life while you are still learning, instead of having to wait until you get to the “real world,” is liberating. It opens the door to whatever path your child chooses. Good luck on this adventure! Joni Rae: The fundamental theory behind unschooling is that the child leads the way and learns through every day life and experience, and the parents give the child the freedom to learn things when it makes sense to THEM to do so. An unschooled child may not want/feel ready to learn to drive or take classes to get their high school equivalency right away. But that isn’t necessarily a bad thing. We have several friends that are unschoolers, and a few have already moved into the next phase of their lives. My daughter’s best friend is unschooled, and his older brother (18 years old now) has a job, a car, and is taking classes at a local college. Another one went in a completely different direction – she is in a band and currently doing a tour of New England. Her sister has become an entrepreneur and started her own business. Unschooling can be as successful as any other form of education but if you feel it is necessary to have the traditional steps to adulthood (license, diploma, graduation, college), then unschooling might not be the best fit for your family. 6 Responses to Unschooling: What Happens After “Graduation”? I don’t feel that traditional steps to adulthood are necessary, but I also want them to be available to my daughter. I know Oklahoma has some very specific requirements these days before you can get a license. My 20yo is just now learning / practicing for her test. Thank you ALL for your encouraging answers! These are great perspectives as we look toward unschooling our little one(s)! Thanks for the question and the answers. I recently read the transcript of a Ted Talk on this very topic! I thought the talk did an excellent job illustrating what life-long, self-directed learning can and does look like. BTW, I am not affiliated with this talk in any way — just thought it might be interesting for you. @Stacy – thank you for the link! Great article! This is just an amazingly interesting article to me. As someone who wants to unschool their kids, it was very neat to see how you might create a ‘transcript’ for your child if that is necessary by putting the things they learned into more mainstream categories. My kids are looking for jobs, most jobs are asking for high school diplomas, my daughter is 17 they want her to have a work permit. How do we deal with this.